Pictures of different named weeds. 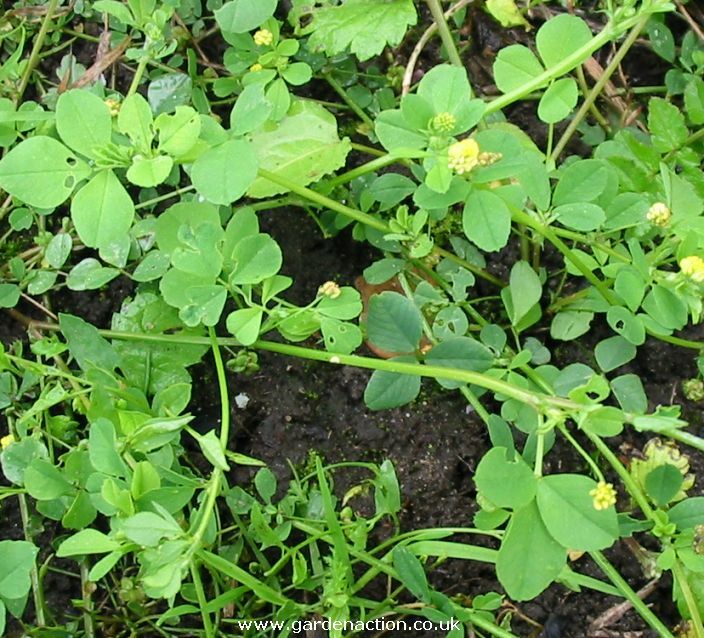 Most garden weeds require the same simple treatment, hoeing and weeding. 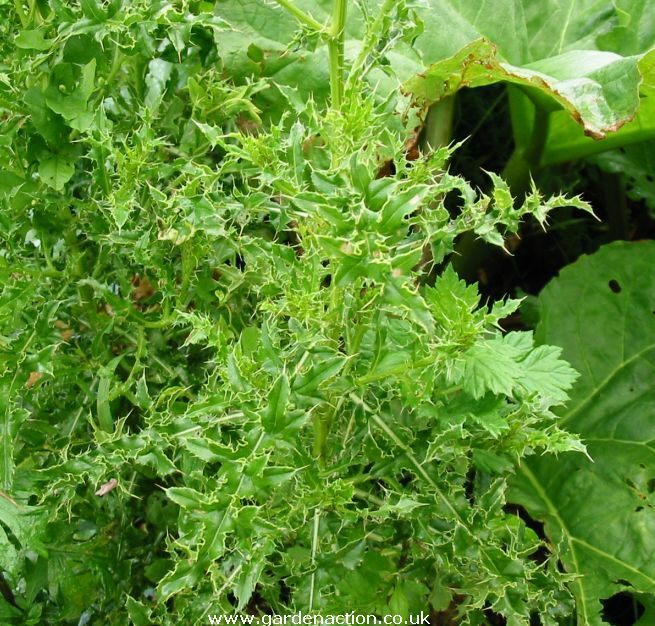 But where a weed is proving troublesome in your garden you may want to identify it and make further investigations. 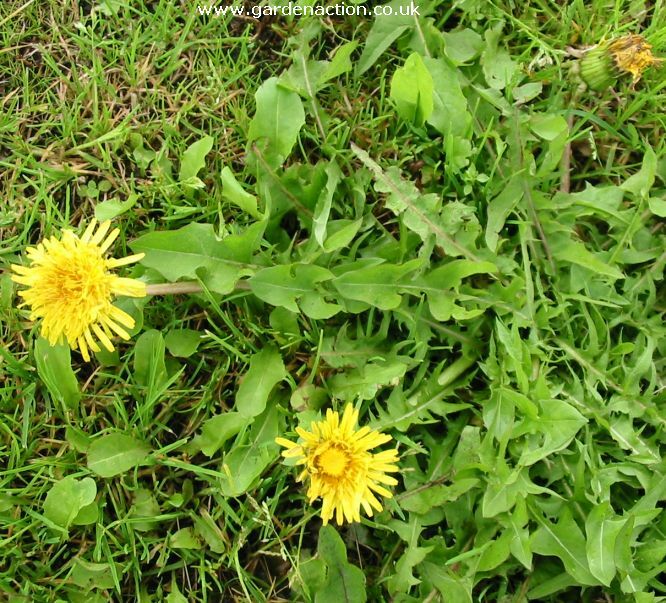 Our pictures and descriptions of different weeds will help you do this. 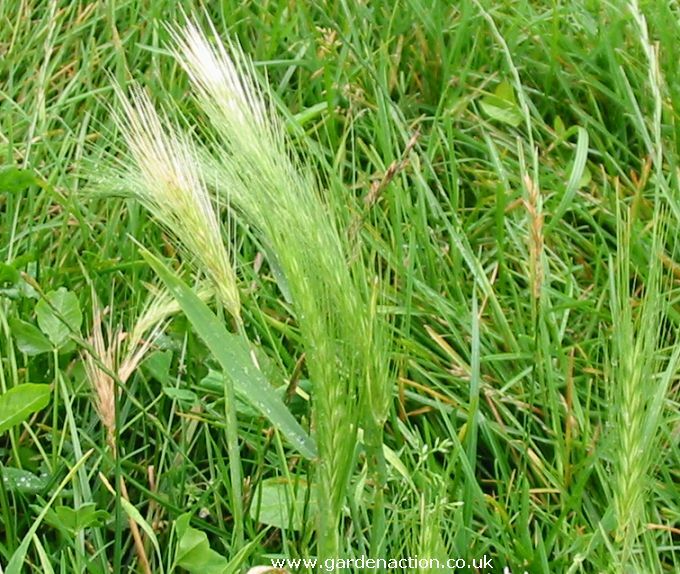 If you have any pictures of named weeds, send them to us and we will publish them with a credit to you. 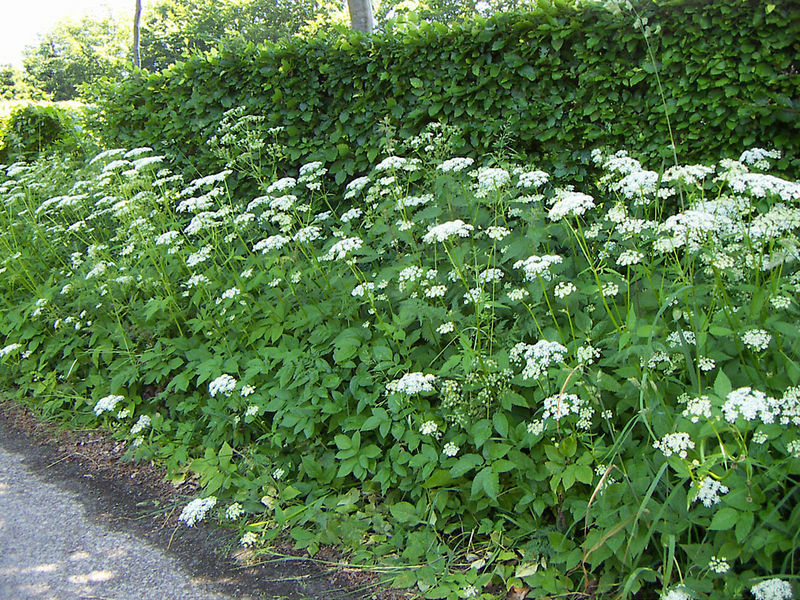 Ground elder reaches a height of about 1m (3ft). It spreads very quickly if left to its own devices. Easily identified by the characteristic white flowers. Click the picture to enlarge (courtesy of Colin Philpott). Couch Grass is a persistent and invasive weed. Click here for our page on how to clear couch grass. Also known as "twitch". 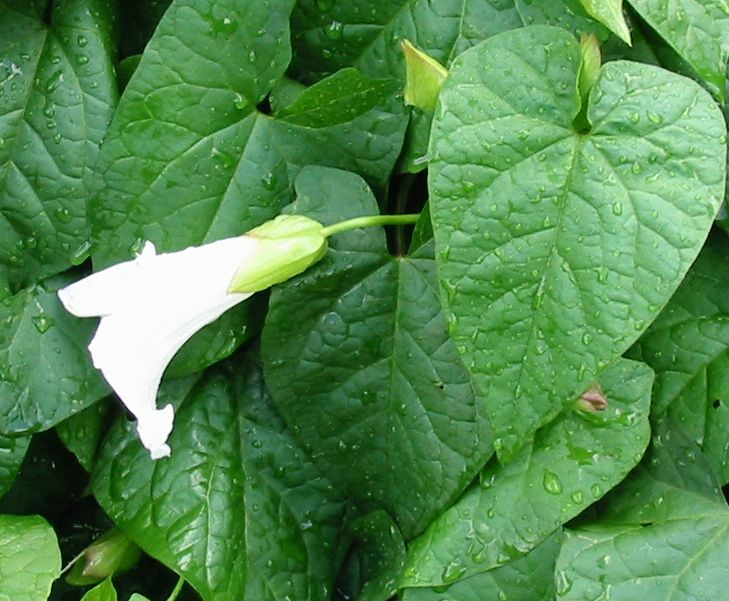 Bindweed and Bellbind are very similar in appearance and can be treated the same. 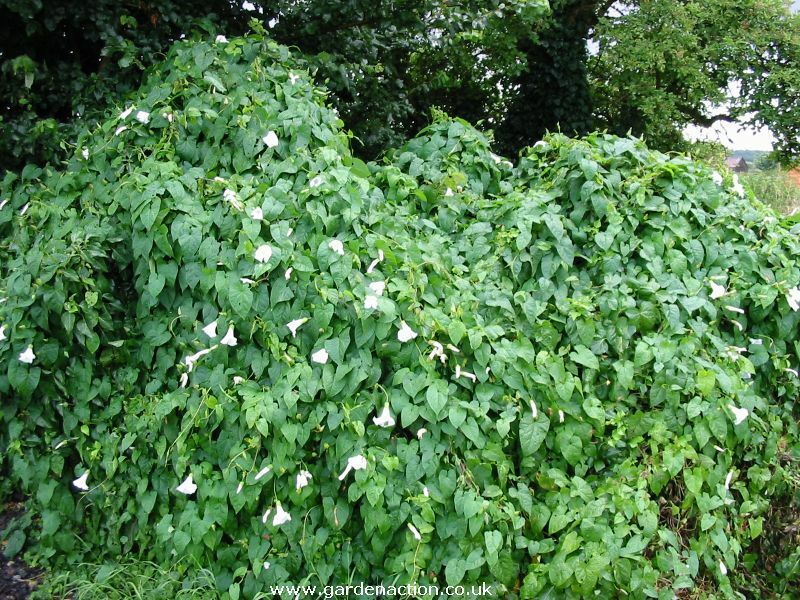 Very invasive, they require persistent weeding to eradicate them. Their roots can go down 5m (16ft). Click here for a close up of the leaf and flower. 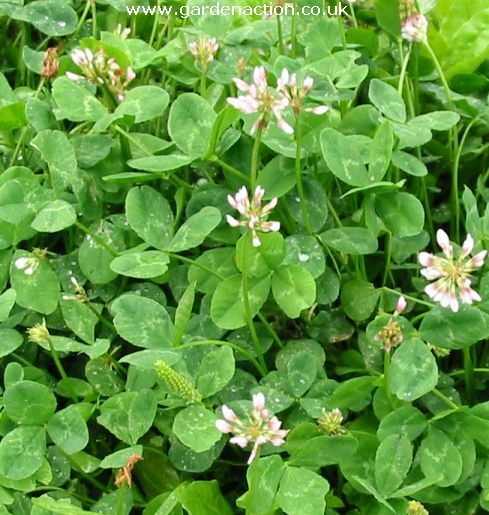 White Clover is often found in cultivated grass. It spreads easily. Click the picture to enlarge it. 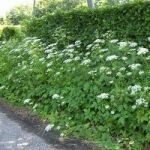 Without resorting to a chemical weed killer, this weed is difficult to eradicate. Dig up each plant with the roots and as much of the runners as possible. Don't cut the lawn too close. Wall Barley is relatively easy to control. Simply cut is low so that no seeds fall on the soil. 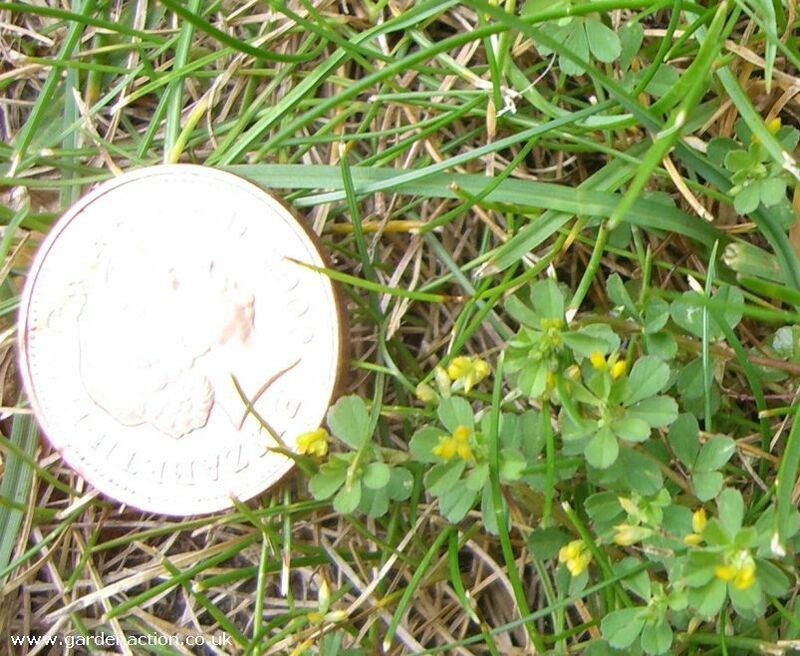 Existing seeds will only survive two years so the regular cutting this weed can be eradicated in two years. Click the picture to enlarge it. 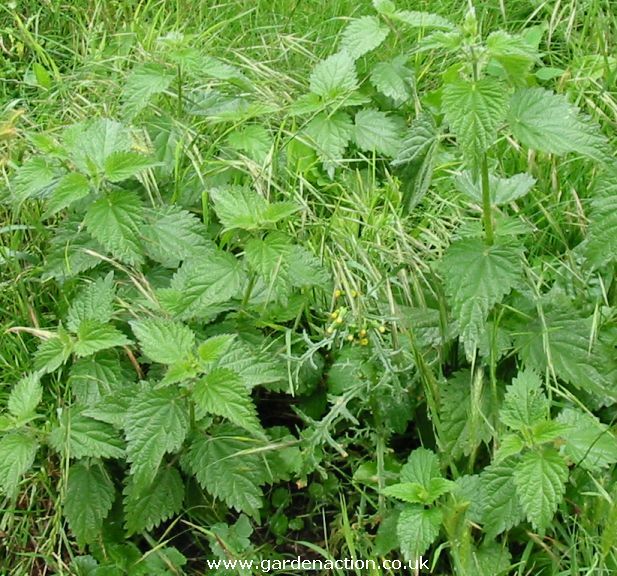 Wait for a day when the soil is damp, equip yourself with a stout pair of gloves and pull each nettle up by gripping it near the base and gently ease it out of the soil with the roots. Can irritate the skin, and if eaten will cause significant sickness. The seeds last for 8 years in the ground so don't let them et seed. The weed can be pulled up individually by hand. There are a wide varieties of thistles but they should be treated the same. 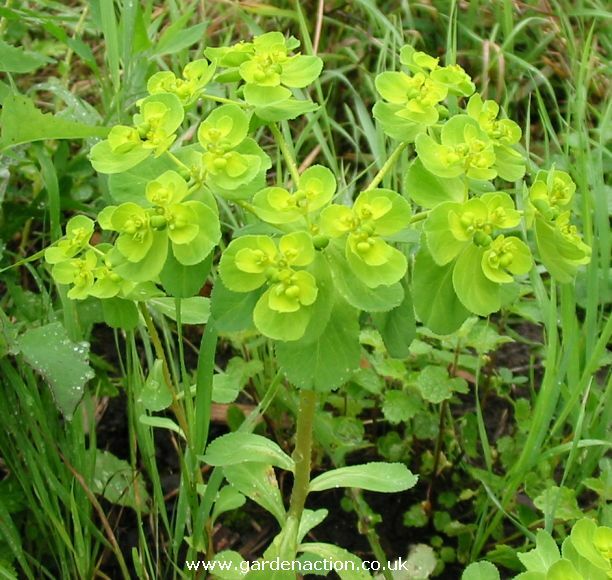 Either hoe as soon as they are noticed or weed them individually when the soil is damp. 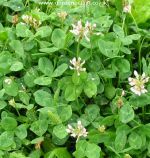 A difficult weed to eradicate, especially in lawns. It spreads by runners and seed. The seeds remain viable for 20 years. Hand weed, removing as much of the runners as possible. 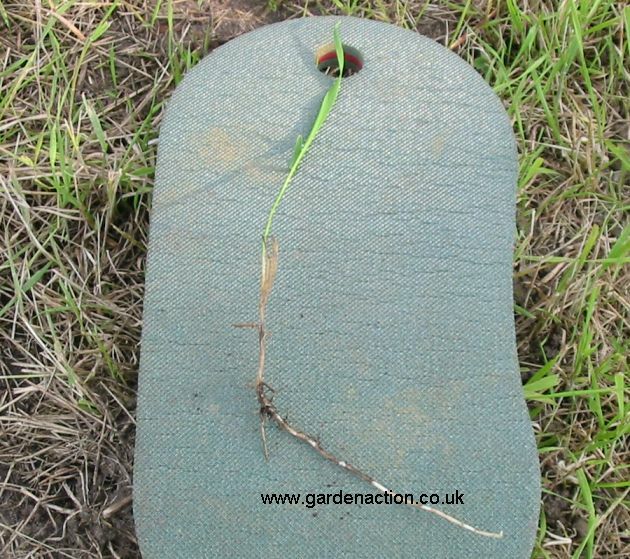 With their long tap roots Dandelions are difficult to eradicate. On top of that the seeds remain viable for 15 years. Hand weed on a day when the soil is moist. Pull up as much of the root as possible. 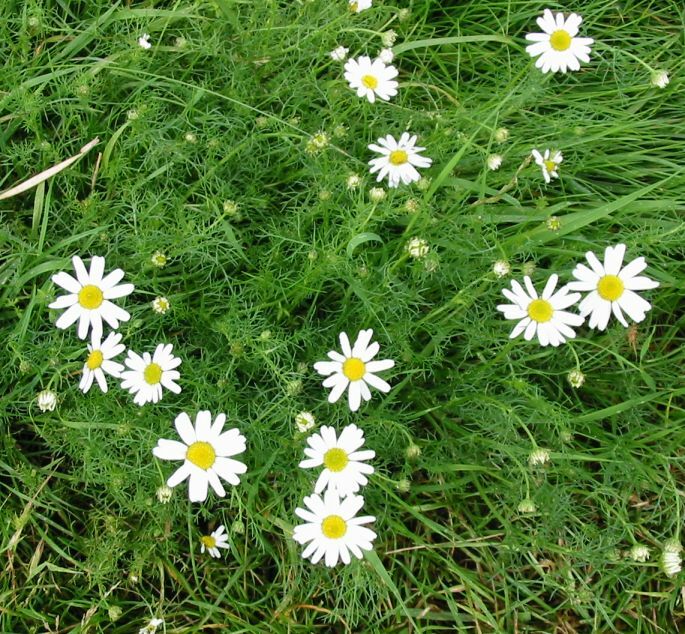 Mayweed is not particularly invasive so individual plants can be hand weeded when the soil is damp. Don't let it flower because the seeds stay viable for over 10 years in the soil. 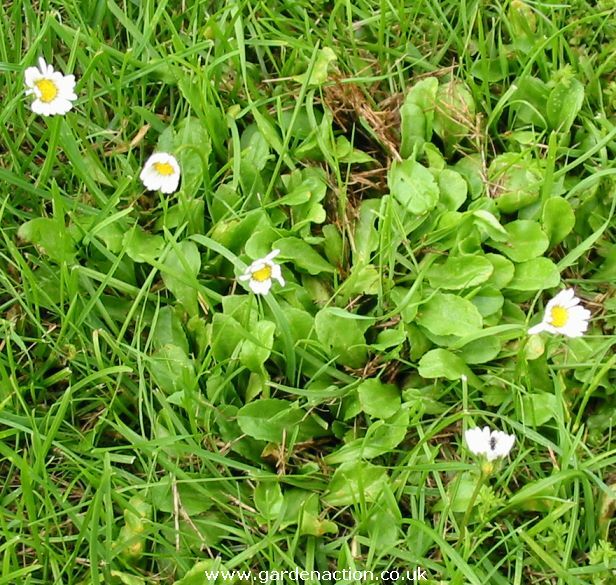 Daisies are common in short cut lawns. Hand weed to remove them with the roots and the runners. Allow the grass to grown slightly long and they will not like the competition.